Training will help TARC employees identify and report human trafficking. 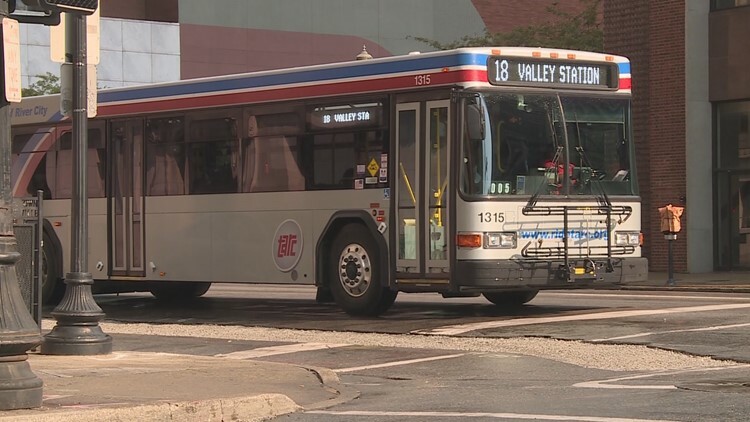 LOUISVILLE, Ky. (WHAS11) – Transit employees will be trained to better identify and report human trafficking in Louisville Metro with the help of a new initiative between TARC and Attorney General Andy Beshear's office. Beshear and TARC Executive Director J. Berry Barker rolled out human trafficking awareness training and reporting protocols focused on the needs of nearly 400 TARC managers, dispatchers and bus drivers. TARC has more than 15 million customers on 41 routes in five counties in Kentucky and southern Indiana, making it a great partner to spot and report crime, Beshear said. “As an agency that interacts with the public every day, the training provided by the Attorney General’s office positions us to be of great service in recognizing and reporting signs of trafficking in our region,” Barker said. Beshear’s Office of Child Abuse and Human Trafficking Prevention and Prosecution is prepared to train TARC employees beginning Oct. 29. The training includes guidance on the signs of human trafficking, questions to ask suspected victims and reporting protocols. Awareness signage, including window clings for over 200 buses, a wallet card for each driver and brochures will be distributed at the training from Truckers Against Trafficking (TAT) Busing on the Lookout program. Other public and private agencies including all Kentucky Transportation Cabinet highway incident safety professionals, the Kentucky Baptist Convention, hotel and hospitality industry employees, firefighters, EMTs and paramedics have also joined the initiative, training more than 5,000 individuals statewide. If a human trafficking victim is in immediate danger dial 911 and report suspected human trafficking of a child to 877-KYSAFE1. Victims of human trafficking may call or text the National Human Trafficking Hotline at 888-373-7888.